Luca Todesco recently released his Yalu jailbreak for iOS 10.2 supports. What you think, can jailbreak iOS 10.2.1 iPhone, iPad with Yalu ? Here we like to discus Cydia download possibilities for iOS 10.2.1 users. Can Cydia download for iOS 10.2.1 ? Actually iOS 10.2.1 users are unable to get Cydia for their devices currently. Because iOS 10.2.1 jailbreak tool is not available in the public yet. Please remember, Luca’s Yalu jailbreak is not compatible with iOS 10.2.1 latest firmware. The iOS hacker is called @ijapija00 on Twitter already has demonstrated his YUCCA jailbreak that works for iOS 10.2.1 (beta 1) to download Cydia. This mean, the jailbreak iOS 10.1.2 is possible to achieve. If you loves Cydia & willing to download now or in the future? Yes, there is still a great chance to do that alternatively. Therefore we highly recommend iOS 10.2.1 users to follow below things just right now quickly as possible before stop signing for iOS 10.2. The signing window for iOS 10.2 could close at any time by the Apple. 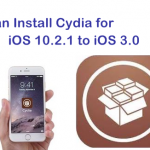 Downgrade your firmware to iOS 10.2 – The you can use Yalu 10.2 jailbreak for Cydia download your iPhone, iPad. You only possible to downgrade (upgrade) until iOS 10.2 is signing. Save your iOS 10.2 Blobs – This may allow for downgrading to iOS 10.2 in the future. Follow TSS Saver to save your Blobs before it too late. It is also only possible until iOS 10.2 is signing. Note: Please check iOS 10.2 signing status with ipsw.me before proceed. Pangu jailbreak demoed Cydia download iOS 10.3 / 10.3.1 ! extra_recipe jailbreak for iPhone 7/7 Plus released..! Keen jailbreak for iOS 10.3.2 & iOS 11 demoed in MOSEC 2017 ! iOS 10.2.1 unable to jailbreak now. 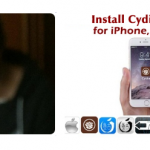 Please wait until jailbreak ready to install Cydia for your device. If this is your first jailbreak, Please wait until Yalu stable with iOS 10 running devices. Better to install cyHelper Follow – https://cydiainstaller.net/app/ to install from Safari Browser. If you are willing to jailbreak, Please backup your device before jailbreak. We recommend to wait until jailbreak stable. If I install Cydia in phone then can I update my phone OS whenever updates is rollout? jailbreak for ios 10.2.1 can be used?from malaysian.. Still not released for the public, Please wait.. will available in near future..
What is Cydia actually done with iPhone? I really want to jailbreak my iphone. but i have ios 10.2.1 when i’ll be able to jailbreak my iphone????????? Jailbreak will release recently. Wait..
do you know when the jailbreak will release? iOS 10.2.1 jailbreak will release soon for users. Wait..
Hi I’m cinde of new here and I want to jailbreak iOS 10.2.1. How can I do this? And if I can’t do this when the jailbreak for iOS 10.2.1 will be release? Hi I’m cinde of new here and I want to jailbreak my idevice with iOS 10.2.1. And if I can’t to jailbreak my iOS 10.2.1 device when the jailbreak will release? And when the jailbreak for iOS 10.2.1 will release? any new news about ios 10.2.1??????????? It’s not working won’t download a thing!